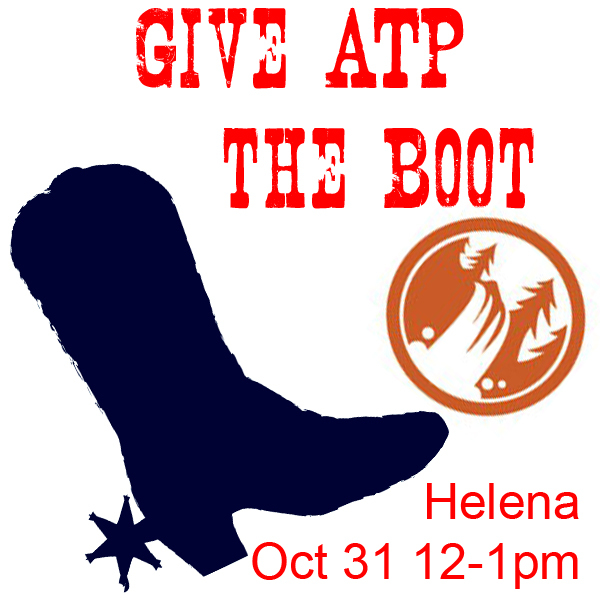 Join us in Helena on Wednesday to protest American Tradition Partnership and what they are doing to Montana's elections. Protest signs and costumes (it is Halloween after all) are encouraged. On Tuesday, Frontline will be doing a one hour show called Big Sky Big Money. The focus of the show will be the aftermath of the Citizens United decision using Montana as a backdrop and will include the activities of American Tradition Partnership and their violations of law. We will rally at Anchor Park, near Lewis & Clark Library, at noon. Then, we'll march down the walking mall to picket in front of law offices of James Brown (attorney for American Tradition Partnership) – Doney, Crowley, Payne, Bloomquist - Diamond Block, 44 West 6th Ave.